Ruben has introduced us to new tools that have improved our communications and has made a measurable impact on our social media. He has worked collaboratively with other staff on joint projects and is willing to share ideas and learn new skills when needed to complete a task. He has also cheerfully acted as informal tech support for our members and staff. Ruben is a welcome member of our communications team, and his work on the Ageing on the Edge project is having a national impact. 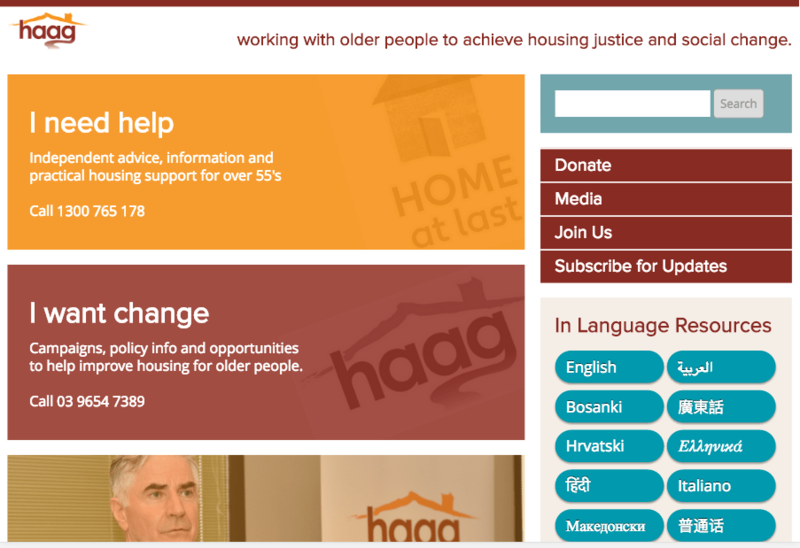 I’m currently working as Digital Communications Officer for Housing for the Aged Action Group’s National Action Project. I’m enjoying putting my skills learnt in web design to use inside a grassroots community group, as well as learning new skills including Drupal 7, Views, Sass, Drush and Git. As well as keeping the site and social media profiles up to date, I’ve made a lot of small changes to improve the sites navigation, responsiveness, and added new functionality to the site that was built and hosted by Lucas Hodge at Media Insights. I’m currently working on building a research library to house an extensive catalogue of academic resources inside their existing website.